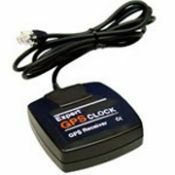 GPS Time Receiver – Synchronizing Time and Date on Network Servers, Workstations or PC. Receivers can provide traceability to the National Frequency standard maintained by NIST. Ability to receive time and date via satellite worldwide. Power is provided by the PS/2 or DIN keyboard port. ADAPTER IS INCLUDED. F12-6 series analog clocks are designed to receive the radio time signal (WWVB) emitted by the U.S. Atomic Clock located at Fort Collins, Colorado. 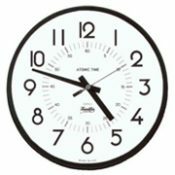 Once received the exact hour, minute and second are displayed with spring/fall corrections addressed automatically. These clocks never need adjusting. Our atomic clock features a HIGH QUALITY U.T.S. movement.